About 3"-4"+. Green with nice vase shape-blush a bright red/pink color and a purple flower when in bloom. These look great in orbs/terrariums or mounted on driftwood/bark. Best quality you can find. 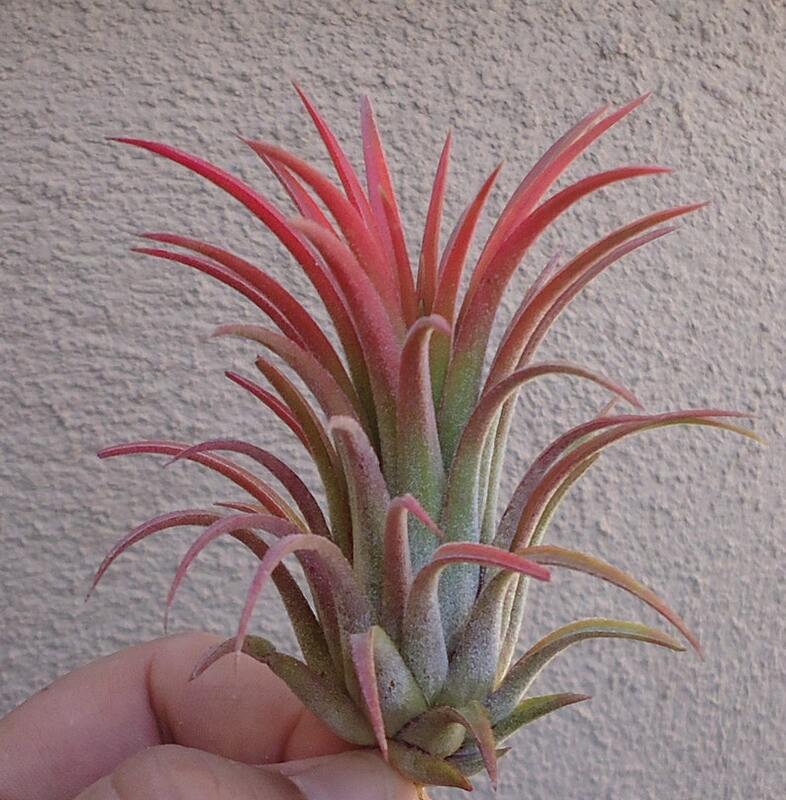 We have many other plants available in our ETSY shop CTSAirplants. We have fertilizer, tillandsia adhesive, glass orbs-plant terrariums, pots, baskets, driftwood, tillandsia wire, shells, and many more plants and supplies. Plant may or may not be the same as in the photo. Plants are natural living products and no two are exactly the same. Perfect little plant. Thank you! If you pay by echeck on paypal the order will not ship until the echeck clears. If you are not happy with your order you can return it for a full refund-less shipping. We will issue refunds after the merchandise has been received. Buyer pays return shipping. We use USPS shipping for most orders. This service takes 1-5 business days(Usually 2). We combine shipping on multiple items-so combine as many as you want for one low rate. We usually ship orders within 1-3 business days of payment. We ship Monday-Friday. Extreme weather can delay some shipments. We can combine shipping on most orders. Some large or heavy items have to ship by themselves. For example 20#'s of beach stones will ship by them selves. We can custom make plant arrangements and succulent wreaths for parties, weddings, or any specialty needs. Just message us and let us know what you want.